Apricot Kernel Oil contains large quantities of naturally occurring Vitamins A, E, and F, which are important biostimulants of various physiological and biochemical processes within the organism. The oil moisturizes and regenerates the skin. It is especially effective against wrinkles. It forms a thin protective film on the skin and guards it against adverse environmental effects. 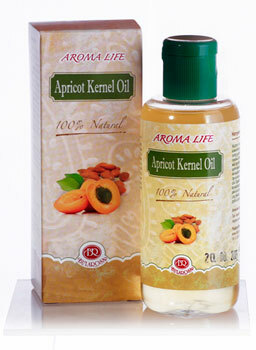 Apricot Kernel Oil is also a powerful hair stimulant, nourishing elasticity and giving a healthy appearance. The oil is suitable for use in tonic body massages, improving blood circulation, stimulating natural vital functions, as well as a base for cosmetic skin and hair masks. It can also be added to skin, body, and hair care cosmetic products.